If you know anything about Animal Friends, you know that we never back down from the challenges that come along with rescuing animals. As I walk through our kennels and see the faces of the animals in our care, I can’t help but to feel thankful for each and every one of you who will help us to give them a fresh start. You’re the reason that we’re able to provide them with safe haven. That we’re able to bring outreach and education to our local communities. That we can rescue, rehabilitate and – of course – provide second chances for the animals who need it most. I can’t thank you enough for everything you’ve done to help us to become such a trusted and valued part of our community. But today, I come to you because Animal Friends needs your help. 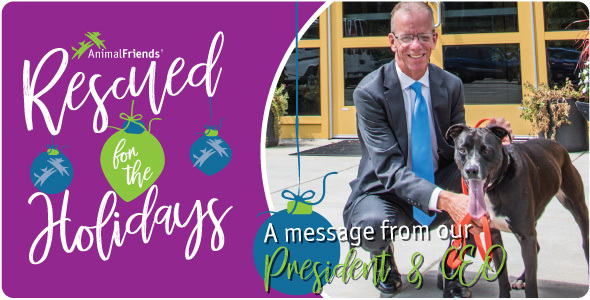 As part of our Rescued for the Holidays Campaign, we’ll work closely with our partners in our region to bring even more homeless dogs, cats and rabbits into our facility to give them much-needed – and much-deserved – second chances. But, we can't continue our lifesaving mission without you. So on behalf of the animals, we are asking you to give compassionately this year. Every year, hundreds of kittens find their way through our doors. Sadly, many of them arrive without the safety, security and nutrition their mother can offer. 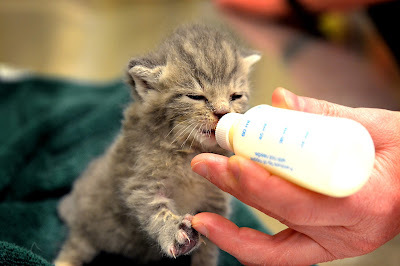 Under these circumstances, we rely on Kitten Milk Replacer (KMR) to give them the important nutritional support that a mother cat’s milk provides. For kittens newborn to 6 weeks old, mother’s milk supplies prebiotics, probiotics, vitamins and minerals that are essential for them to grow into healthy adults. This was just the case in August when we met Olwen, a tiny kitten who was just 5 days old. He had been discovered by a construction worker and was brought to Animal Friends. He was dirty, covered in oil and infested with fleas. We knew we needed to act quickly, so our Medical team jumped into action getting Olwen cleaned up and placing him into an incubator. Since Olwen was still far too young to be away from his mother, we started him on KMR to be sure he would have a steady supply of the critical nutrition he would need to gain his strength. Before too long, Olwen was well on his way to growing into a healthy, happy and playful kitten. Once he was given a clean bill of health, Olwen was ready for adoption and just a few short months after arriving at Animal Friends, he found a loving new home! You can save the lives of kittens just like Olwen (and all of our animal friends) by sending them a gift from our Amazon Wish List. For an added bonus, start your shopping at Smile.Amazon.com and designate Animal Friends as your charity and a portion of every purchase you make on Amazon will be donated to benefit our shelter residents. With the holiday season upon us and lots of online shopping to do, you can make a big difference in the lives of some very deserving animals. Click here to see what else our four-legged friends are wishing for this year! 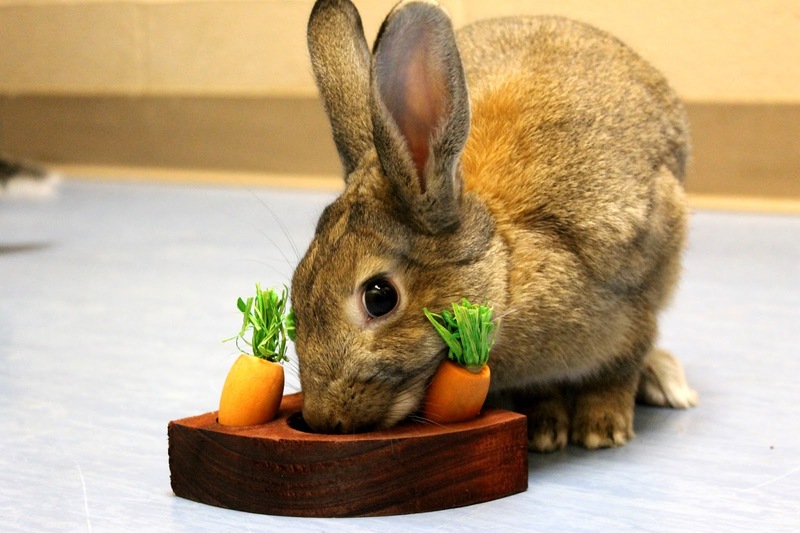 Exercise is extremely important for rabbits, especially young bunnies who are still growing, learning and developing important social skills. While adult rabbits require time every day for playing and exercising – at least 2 hours daily – it’s even more essential for babies, who should have at least 4 hours to sniff, play and explore each day. 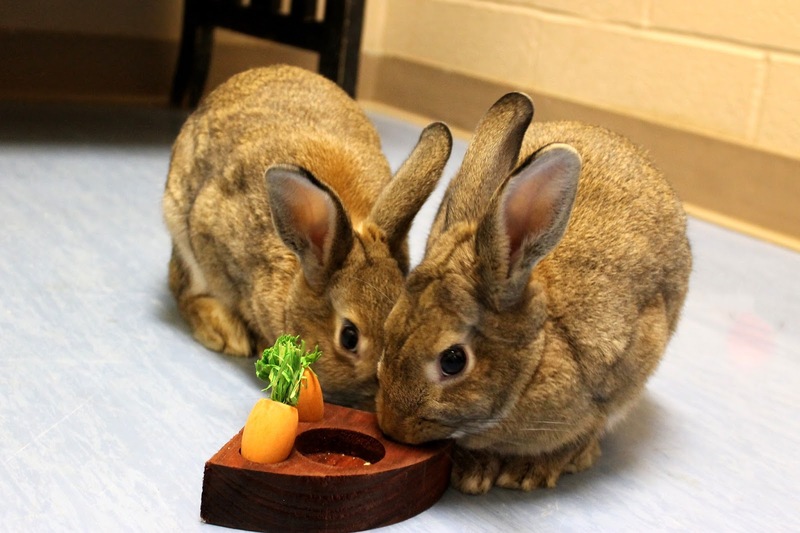 And, the young kits at Animal Friends – like Parker and Porter – are no different. These 5-month-old brothers came to us from another shelter and we saw their playful and energetic personalities right away! Giving Parker and Porter plenty of opportunities to put their minds to work has helped them continue to learn and grow. With the help of enrichment toys like the Toss and Learn Carrot Game, they can even make the most of time spent in their kennels. 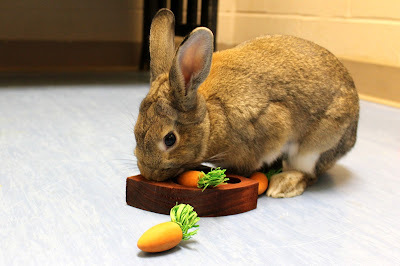 You can brighten the lives of our resident rabbits (and all of our animal friends) by sending them a little holiday cheer from our Amazon Wish List. For an added bonus, start your shopping at Smile.Amazon.com and designate Animal Friends as your charity and a portion of every purchase you make on Amazon will be donated to benefit our shelter residents. With the holiday season upon us and lots of online shopping to do, you can make a big difference in the lives of some very deserving animals. Click here to see what our four-legged friends are wishing for this year!